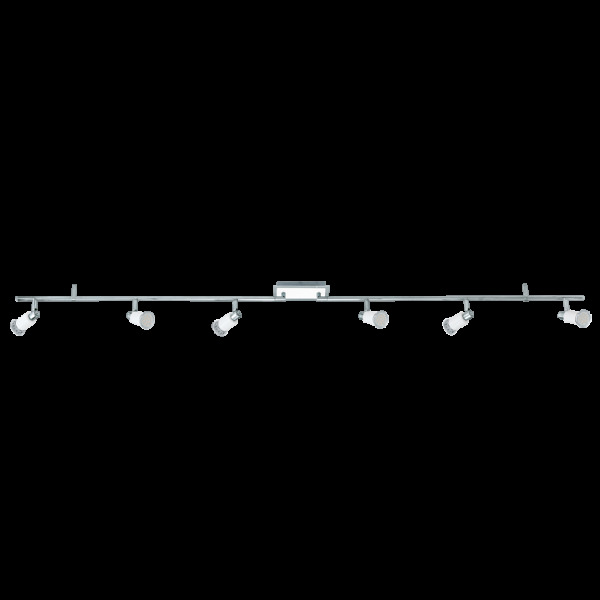 A contemporary 6 light ceiling spot light bar in polished chrome and white finish, suitable for use in any modern setting. The light is LED lit making it very low energy with each bulb using only 5 watts but producing 400 lumens or the equivalent of around 40 standard watts. The two chrome arms are angle-able allowing for greater control over the direction of light.